Veeam announced today Veeam 7 R2. 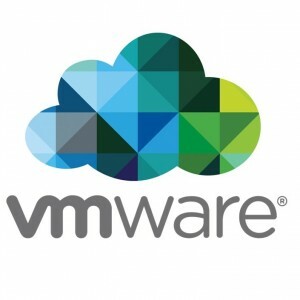 The update now adds support for vSphere 5.5. Find all the information, and downloads from Veeam’s website, or directly from the KB Article. This update also has a list of other new features for VMware and Hyper V. This is great, and not too far behind the release of 5.5 from VMware. 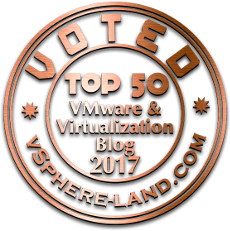 For many people, this is the only thing that was preventing an update to vSphere 5.5.
vSphere 5.5 support, including support for 62TB virtual disks and virtual hardware v10 virtual machines. Support for Windows Server 2012 R2 and Windows 8.1 as guest virtual machines (VMs). Added ability to limit maximum amount of active VM snapshots per datastore to prevent it from being overfilled with snapshot deltas. The default value of 4 active snapshots can be controlled with MaxSnapshotsPerDatastore (REG_DWORD) registry key. Windows Server 2012 R2 Hyper-V and free Hyper-V Server 2012 R2 support, including support for Generation 2 virtual machines. Support for the installation of Veeam Backup & Replication and its components on Windows Server 2012 R2 and Windows 8.1. Increased data processing performance up to 50% with hard drive based cache, and up to 3 times with SSD based cache. Multi-core CPU on source WAN accelerator is recommended to take full advantage of the enhanced data processing engine. Added ability for source and target proxy servers to reconnect and resume replication when network connection between source and target site drops for a short period of time. Added support for a number of enterprise-class tape libraries with partitioning functionality that allows presenting multiple tape library partitions to the same host. Import/export slot interaction has been redesigned to add support for a number of IBM and Oracle tape libraries. Added ability for application-aware processing logic to detect passive Microsoft Exchange DAG database present on the VM, and process it accordingly. Added support for Exchange CCR clusters. 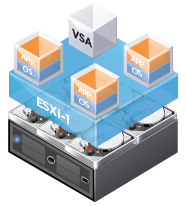 vSphere VSA Raid requirements relaxed! Tim Smith is a Solution Architect at Veeam. 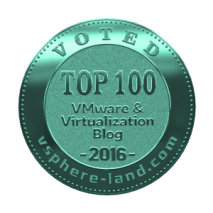 He focuses on Virtualization, Disaster Recovery, and Emerging Technologies.